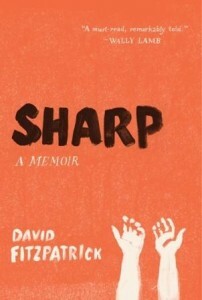 Sharp: A Memoir by David Fitzpatrick is not an easy book to read. Oh, Fitzpatrick is extremely articulate and the memoir is definitely well written, but the raw emotions he shares with candor and honesty makes this one tough book to read. It is truly about going to hell and back - if hell is a mental state. After college mental illness gripped author David Fitzpatrick's life and began almost two decades of torment. He began cutting at age twenty-three after breaking up with a girlfriend. Before this, however, he endured years of bullying, first at the hands of his older brother and later by his college roommates. He accepted the abuse with a stoicism that defied logic. Once his low self esteem combined with depression his psychosis was obvious when it resulted in extreme self-injury; this lead to years in the psychiatric wings of hospitals and extensive therapy, including drugs and shock treatments. He freely shares his experiences and all the raw emotions he was feeling, including the thoughts he was dwelling on when his psychosis overtook rational thought. In some ways I felt like this memoir was almost too open and honest. Some of his sexual experiences weren't necessary to share in much detail. I was also concerned in several places that his descriptions could potentially be a trigger for those inclined to self-harm. While the details of his illness and therapy over the years are disturbing and difficult to read, the real story is that, in the end, Fitzpatrick is liberated from his path of destruction and regains his life. Highly Recommended - but not for the faint hearted. David Fitzpatrick was born in Dearborn, Michigan, grew up in Connecticut, graduated from Skidmore College, and earned his MFA degree from Fairfield University in 2011. He works part-time at an auto dealership and is married to a graphic designer and fellow writer, Amy Holmes. 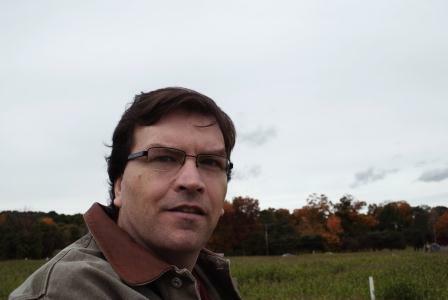 His works have been published by The New Haven Review, Barely South Review, and Fiction Weekly. He lives in Middletown, Connecticut. Definitely not for the faint-of-heart, but definitely worth reading!